Pharrell’s unrequited love of Steely Dan. Entry 11: Pharrell’s unrequited love of Steely Dan. Those who know, know Kenny G.
A lot of these golden ages didn’t appear so golden at the time. Take School Daze—the great reissue of the late Patrick Cowley’s steamy soundtrack work from 1973 to 1981, put together by Dark Entries and San Francisco’s ace DJ crew Honey Soundsystem. I remember talking about Cowley with a friend who knew Cowley in the ’70s, via dancing at now-legendary clubs like the long-defunct Trocadero Transfer. “You mean Sylvester’s manager?” he said, amazed that someone my age, in my mid-30s, knew all about Cowley—not to mention, that I had all of his records. It’s my friends who are in their 60s, I find, who are the most amused by these reissues—by how more recent generations find resonances in a lot of the stuff they rejected, or simply forgot about. It’s how I Am the Center: Private Issue New Age Music in America 1950–1990 became one of the coolest reissues of the year. (The collection is great, by the way.) Tonight, I’m going to a party here in San Francisco dedicated to the I Am the Center reissue at a friend’s house, where we were told to come early so that we can “blend energies” before listening to the record in candlelight. I thought of albums by the likes of Haim and The 1975—music that reflects and refracts the glitz and ultra-smoothness of records that came out well before the band members were born. I thought of Daft Punk’s sonic tribute not only to Giorgio Moroder, Chic, and Michael Jackson, but to groups like the Doobie Brothers and Average White Band. I thought about Pharrell talking up the greatness of Steely Dan, and getting totally bummed when Donald Fagen would not sing on one of his tracks. I thought back to Beck’s release of Song Reader at the tail end of 2012, a call for all of us to play sheet music ’round the parlor piano. As I wrote when it came out, it’s interesting to remember that Beck’s grandpa, the fearsome Fluxus artist Al Hansen, chucked a piano out the window for a famous performance art piece. This all brings me back to a funny story my friend (and ace musician) Jherek Bischoff told me—that when he was growing up he was interested in alto sax, so his dad took him to a record store, trying to interest him in an album by the wily jazz multi-instrumentalist Rahsaan Roland Kirk. But young Jherek picked out Kenny G’s Breathless instead, much to his dad’s chagrin. Kenny G! 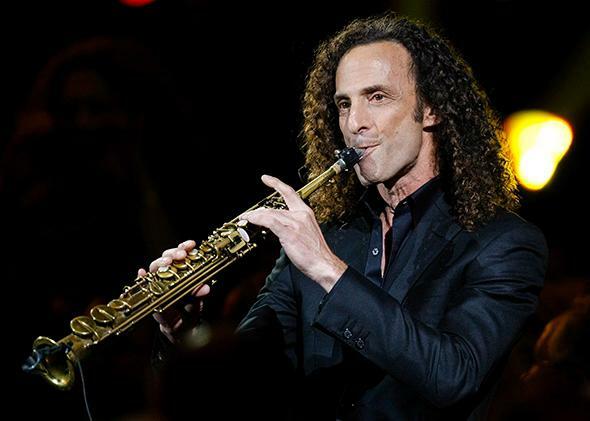 Perhaps 2014 will be full of Kenny G reissues, I don’t know. But here’s my list of some of the albums and songs I loved this year.